Corporate culture lessons can be gained from many sources, including Twitter. Seems the whole world is a-Twitter about a micro-blogging communication medium that some still think is a “peek into the windows” of stars. While it’s true that I don’t care what Kim Kardashian thinks about her sister’s weight, I do care about the latest tools to help businesses in their communications. As professionals in leading change, we must remain open and innovative. When Twitter sparked revolution (Egypt, England) it got taken seriously by more people. For many today, it’s a primary source of the world’s news. It’s gone way beyond Gen-Y to a being mainstream medium for communicating instantaneously. These days if you’re not on Twitter you’re not using all the marketing resources available to your company on the Internet. If you’re not on Twitter you just may be missing the most important conversations happening in your areas of interest. Even the leader of the free world is on Twitter – @barackobama. Yes, of course we are on Twitter (you may be reading this because of it). But the merits of Twitter, while interesting, are not our primary interest today … what interests us primarily are stories of small changes and easy practices that add up to creating great cultures – what leaders and companies do to get it right in today’s very tough high-wire balancing acts – growth, innovation, results, change, caring about people. 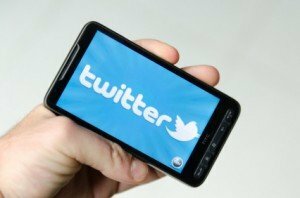 3 Twitter culture lessons – in 140 characters or less. 1) Culture matters. It’s your tribe’s identity (80,000 years of human history). During fast growth, people need to know what never changes. 2) Make it personal. Writing a hand-written welcome note to new employees is brilliant. Everyone should do it. 3) Keep it short. And sweet. (if you want your message to be heard). Tweets take seconds to read. Information-overload = sound byte culture. Any culture – team, department or company – can benefit from applying these short lessons to their daily activity. Talk amongst yourselves about these important lessons … but keep it short.